Trucking operators will pay almost 7 cents more for diesel from July 1, 2014 under the Federal Government’s carbon tax package. Unveiling the reform yesterday, Prime Minister Julia Gillard announced that the trucking industry would be exempt for two years when the tax begins on July 1, 2012. The scheme will begin at $23 per tonne of carbon, rising to $24.15 the following year and $25.40 in July 2014 before moving to a market-based emissions trading scheme in 2015. The $25.40 tax will increase diesel prices by 6.85 cents through a reduction in the fuel tax credit rate, which will continue to decline as the cost of carbon increases. It means trucking potentially faces a double whammy on diesel prices from July 2014 because the fuel tax credit is reduced at the beginning of each financial year to account for government expenditure on the road network. Apart from those working in the agriculture, forestry and fishery industries, the fuel tax credit will be reduced from July next year for off-road transport users such as mining and rail operators. The Australian Trucking Association (ATA), which lobbied for the industry to be exempted altogether, welcomed the announcement. It claims the handout will help businesses struggling to make ends meet. "The exemption will give trucking operators time to renegotiate long-term contracts with their customers and look at how to improve their fuel efficiency," ATA Chairman David Simon says. According to the ATA, the 6.85 cents per litre increase will cost the industry and its customers $510 million in the 2014-15 financial year. A study by the Centre for International Economics – paid for by the ATA – questioned the effect an increase of 7 cents per litre on diesel would have on the industry. "To put this in context, diesel prices fluctuate annually, and even quarterly and monthly, to a similar degree," it says. "Therefore, while the imposition of a carbon price on diesel fuels will be an additional cost to the industry, it should not be outside of the scale of price increases that are observed through the market." The Australasian Railway Association (ARA) has decried as "ludicrous" the government’s decision to shield trucking for two years. ARA CEO Bryan Nye is planning to lobby MPs to scrap the decision, claiming the exemption will have a perverse effect on rail while handing trucking operators "a free pollution pass for the next two years". "Rail supports action on climate change. However, under this scheme, rail, which is considerably less emissions intensive, will have to grapple with significant increases in its costs, while the more polluting road vehicles are exempt," Nye says. "It’s not too late to rectify some of these issues. I urge all parties to rethink the application of the carbon price on the transport sector to ensure a level playing field. As a priority, heavy vehicles must be included from the beginning of the scheme." While it has the numbers to pass the carbon tax legislation, the government says all members on the multi-party climate change committee responsible for crafting the scheme did not agree on trucking’s inclusion. The committee included government ministers, the Greens and independents Tony Windsor and Rob Oakeshott. The Australian Logistics Council has reiterated its call for the government to ensure the cost of carbon is not priced into any other taxes. "ALC firmly believes externalities flowing from the movement of freight should only be priced once – a point ALC hopes it will be able to make at the table when the Tax Forum meets in October," ALC CEO Michael Kilgariff says. The group has also sought government support for operators investing in new and cleaner technologies to reduce their greenhouse emissions. Kilgariff says there should be greater support for and investment in smart fuel technology and low-emission equipment and facilities. The Federal Government says its $61.4 million national managed motorway trial, announced in the budget, will reduce pollution and congestion levels. Greens Senator Christine Milne says transport should ultimately be included in carbon pricing and adds that reductions to the fuel tax credit is an important step in reducing emissions. "The fuel tax credit, which means that mining companies haven't paid a cent of excise on their diesel for years while ordinary Australians carry the can for them, is simply unfair," Milne says. The Greens secured a Productivity Commission investigation into the fuel excise in return for their support of the government’s plan to exclude motorists from the carbon tax. "Australia needs to change the objective of fuel excise from revenue-raising to more efficient resource use by taxing heavily polluting fuels more and cleaner fuels less, and the Productivity Commission will be specifically tasked with examining that prospect," Milne says. "While the Greens would have loved to see transport properly included in carbon pricing, and wanted to deliver big investments in high speed rail and commuter public transport through this package, we are pleased with progress on fossil fuel subsidies, fuel excise and efficiency standards." Greens Senator Scot Ludlam last week warned that the cost of peak oil on fuel prices would dwarf the impact of a carbon tax. 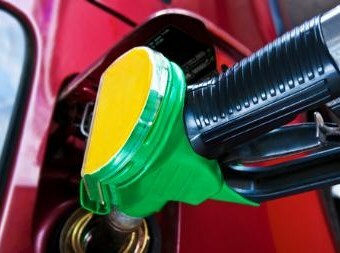 He told the Emerging Crises Summit held in Canberra that motorists faced "savage" price increases of up to $8 per litre due to depleting supplies of oil. The Opposition has vowed to reject carbon tax legislation when it comes before Parliament, and leader Tony Abbott is planning to intensify his campaign against the reform. Opposition spokesman on transport Warren Truss believes the tax will add significant cost pressure to trucking operators, particularly in regional areas. He says many regional operators are already struggling under higher registration charges, which rose by 2.4 percent on July 1. The four big As in logistics pricing – the stepping stones to efficient pricing?